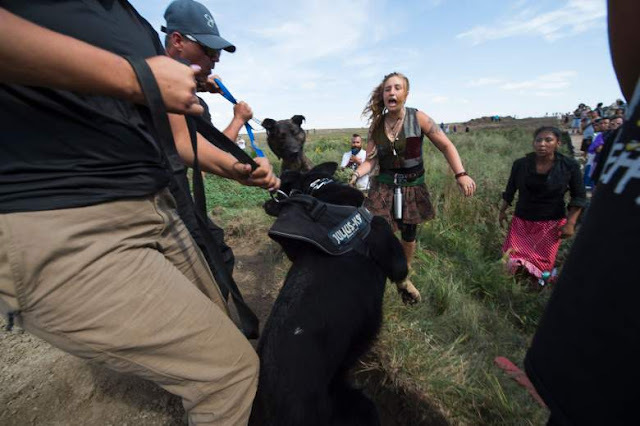 Dogs attack protectors of burial place on Saturday. CANNONBALL, North Dakota -- The Shiprock Chapter appealed to President Obama to intervene, after attack dogs were sicced on Navajos and others defending a burial place from bulldozers near the Standing Rock Camp on Saturday. 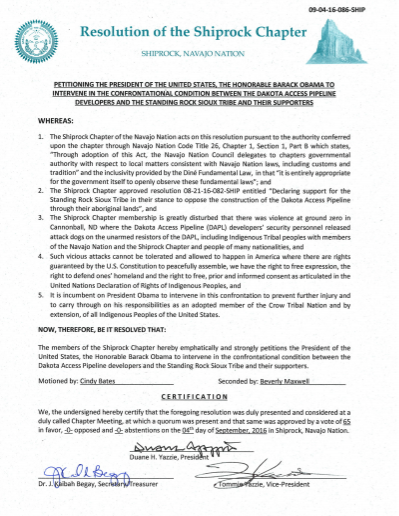 The Shiprock Chapter passed a resolution and stated that Navajos were greatly disturbed that there was violence, and security personnel of Dakota Access Pipeline released attack dogs on unarmed resistors of the pipeline. 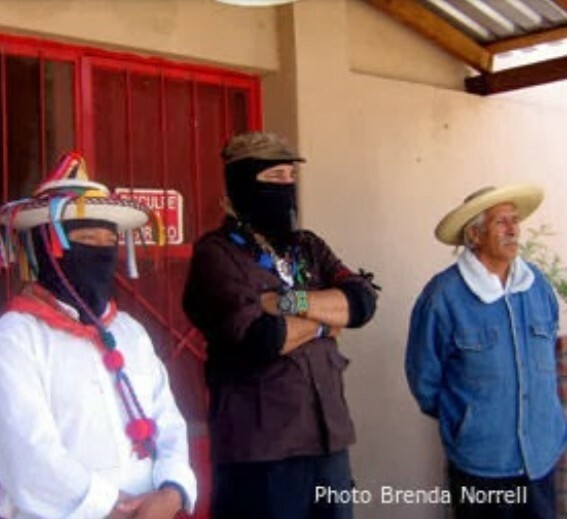 The resolution points out that rights to free speech in America are protected by the Constitution and the Declaration on the Rights of Indigenous Peoples requires "free, prior and informed consent," before development occurs in Indigenous territories. Shiprock said that as an adopted member of the Crow Nation, it is incumbent on Obama to intervene and prevent injury to the people and carry through on his responsibility to the people. Shiprock President Duane 'Chili' Yazzie said, "As Indigenous Peoples we have been under genocidal assault since 1492, our Earth Mother has been exploited to the point of endangering her life with climate change." "At some point we must stand as one against the assault and that time could be now at Standing Rock." "We stand with Standing Rock because their struggle is the frontline in the fight to defend the Earth and our water. The life of the Earth is our life." "At all costs we must protect the Earth and the water, as our action is to secure a comfortable survival for our grandchildren into the future," Yazzie told Censored News. Yazzie is a longtime human rights defender, who was a member of XIT band, the sound of the American Indian Movement in the 1970s. Meanwhile, although Obama visited Standing Rock in 2014, Obama has not spoken out concerning the desecration of the sacred burial place by bulldozers on Saturday, and the attack by vicious dogs, which bit six of the Native Americans and supporters who were protecting the area. One child and a pregnant woman were among the six bitten and dozens were pepper sprayed. At least one person was assaulted by the pipeline's private security. After the protectors were attacked, the Morton County Sheriff's office release a statement of false accusations accusing the protectors of violence. However, the photos and videos expose the Sheriff's office's lies. In the Standing Rock Camp, Navajo youths from Shiprock, located in the Four Corners, brought supplies to the camp. Many Navajo youths have been working in the kitchen and in other areas of the camp. In Shiprock, radioactive tailings remain strewn from the Cold War uranium mining and respiratory problems are common, because of the coal-fired power plants in the Four Corners region. The Gold King Mine spill poisoned their irrigation waters, and devastated farmers.